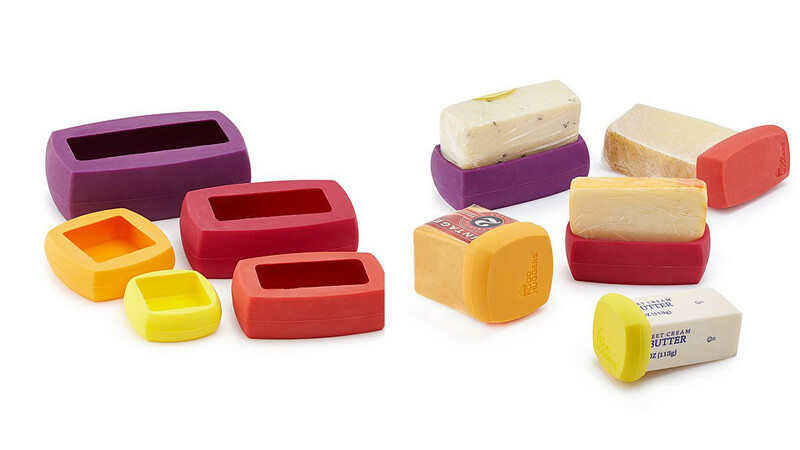 These extremely useful butter and cheese huggers are sure to make storing cheese and butter easier. Storing cheese and butter can be a difficult task because the original package is usually not resealable. 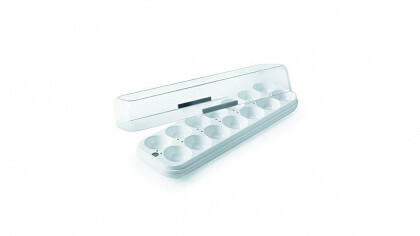 It is often necessary to discard the original packaging so that you can store your food well. These are foods that quickly spoil when they are not stored correctly. The uncovered ends can become dry and the flavor can become contaminated. Because these huggers are made from silicone, they are versatile, durable and easy to use. These are environmentally friendly because they can be cleaned and used over and over again. If you tend to use a lot of plastic wraps this is one thing you can do that will help you to cut back. Using one of these huggers is much more convenient than using plastic wrap. These come in a set of five different sizes. This is really handy because cheese comes in so many different shapes and sizes. You should be able to cover any cheese or butter that you buy with this set. If you are someone that loves cheese then these are perfect for you. You will love knowing that your cheese is fresh and tasty for as long as possible. Gourmet cheese can be quite expensive so it is quite annoying if you have to throw it away because it has dried out. If you like these cool cheese huggers then you may also like to check out the following.